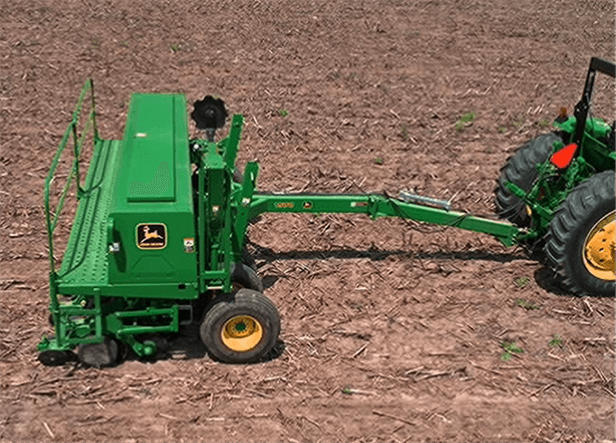 Equipped as a coulter cart, the 1570 turns your 1520 Drill into an effective no-till tool. Parallel linkage on the 1570 transfers weight on-the-go for extra down-pressure as field conditions change. The 3-point hitch maintains weight transfer from the tractor to the cart for excellent penetration. One more advantage to the 1570: it can be hooked to an integral planter, too.